Photos: Here's How Salman Khan Celebrated Diwali! Home BOLLYWOOD Photos: Here’s How Salman Khan Celebrated Diwali! Photos: Here’s How Salman Khan Celebrated Diwali! When the whole industry was celebrating Diwali in Mumbai at star-studded parties, Bollywood’s Sultan star, Salman Khan chose to celebrate his Diwali with family in Goa. Salman had his own way of Diwali celebrations with his family. The whole Khan family decided to fly Goa for some family time. Well, nothing can be better than spending time with family on such occasions! 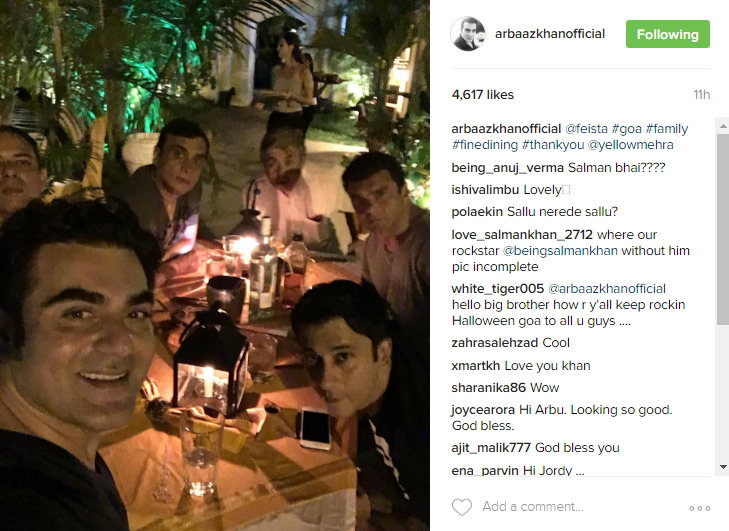 Here’s another photo shared by Arbaaz Khan on his Instagram handle but missing in a group picture is Salman Khan. 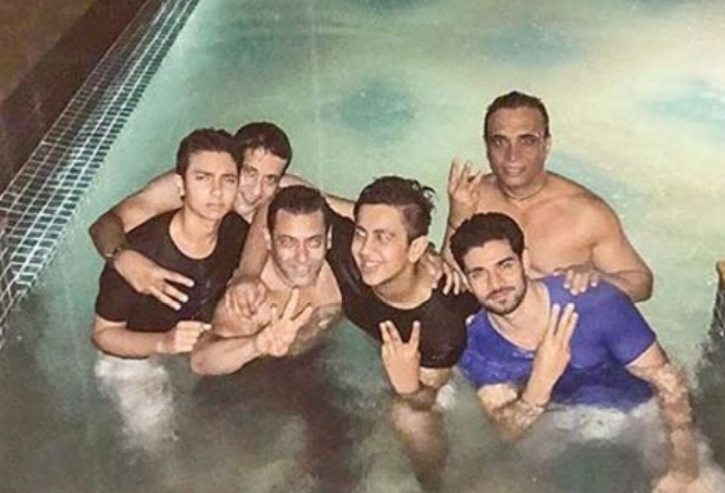 Well, this shows Salman Khan is a true family man and loves spending more of his free time with his loved ones. On the professional front, the actor had recently returned from a schedule of his film Tubelight in Manali and is currently busy with Bigg Boss 10 show. Next articleCAUGHT: What Is Arjun Kapoor Doing Late Night At Malaika Arora Khan’s Building In Arbaaz Khan’s Absence?